Im new in ID and have a problem. I create a model with many parts and I want to create explode view and show how they are connecting each other. 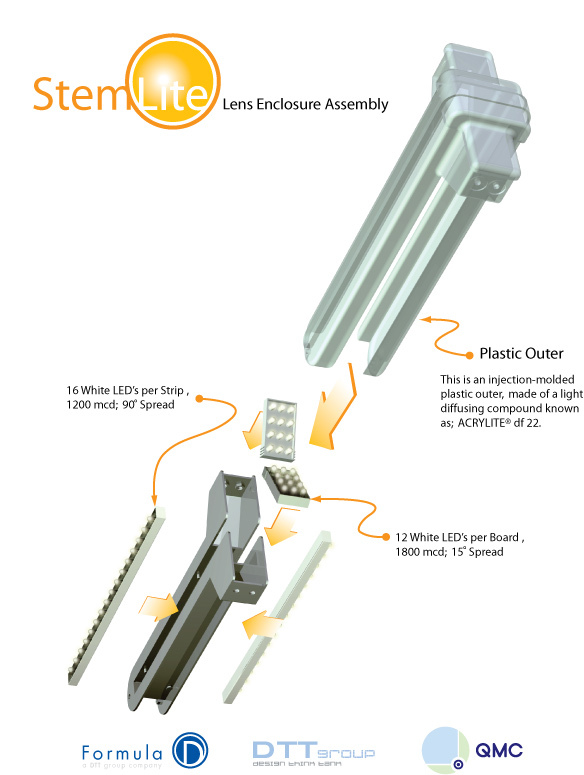 Is there a software to generate 3d assembly illustration - Explode view with path of assemble parts? Im on Solid thinking good surface modeler but cann't generate explode view. 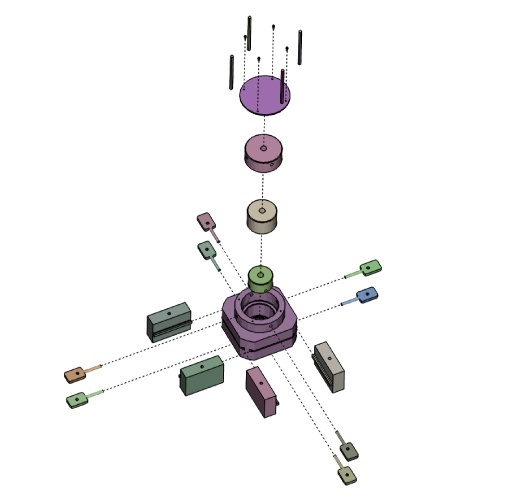 Any decent CAD program should do exploded assembly views. If you are able to gain access to Inventor through the free download check help for Inventor Presentations (*.ipn) and/or Inventor Studio Illustrations when the new r2008 is posted (should be soon). You can also do exploded assembly views in SolidWorks. You can get a student price at http://www.journeyed.com or some books include an extended trial of the software. I am a SolidThinking user myself. I use ST to generate the exploded view using the translate tools. Mind you I do this in a copy of the original file. -You can strip out some of the construction surfaces and curves if it is a big file. After you have moved the parts to the desired locations, render them with the desired materials or colors. After this I import the image into Adobe Illustrator and add vector arrows & graphics to complement the rendering. You can add call-outs & text to enhance it as well. Here are a couple of examples of part of a light I recently designed. Thanks for replay, I'll try with Solid works. Matthew Its cool drawing and good idea for ST explode view i'll try it too, but i have many parts and I don't know, its a long time translating one by one . One thing that helps is to select groups of parts as you translate. Once you have seperated the bigger masses, you then can move smaller individual parts. Remember that sometimes you dont need to seperate every single part. Sometimes showing one assembly attaching to another is plenty of information. It kind of depends on if this is to illustrate a concept or if it is truly am engineering exercise. You have to make that decision. Also remember that in SolidThinking you can turn off the ability to move objects in all but one axis. this can speed things up by allowing you to drag obects in one direction with the mouse, without using the translate tool.